Product #55646 | SKU GX-P500 | 0.0 (no ratings yet) Thanks for your rating! Genius GX gaming introduces Scorpion, a high-quality gaming experience with gaming peripherals for Beginners all the way to Expert. 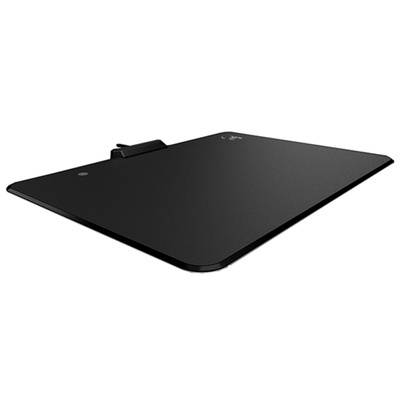 GX P500 is a Mousepad that features a hard and low friction micro-textured surface, the mouse pad ensures pinpoint accuracy and effortless speed during gaming sessions. Multiple Lighting Modes present a cool visual effect for your personal gaming experience, changeable with the touch of a button. The anti-slip base assures you a solid, stable base and accurate mouse movement even in a fierce fight.